and the circles, oh the circles, I spent the best part of a day making them. There are 80 or so circles for the required for the bottom border, and I will be spending another day making circles for the rest of the quilt. A couple of weeks ago I bought a Frosted Donut a couple of weeks ago, I think it was a good buy as there are 36 different coloured bobbins to choose from and I have already used quite a few of them. 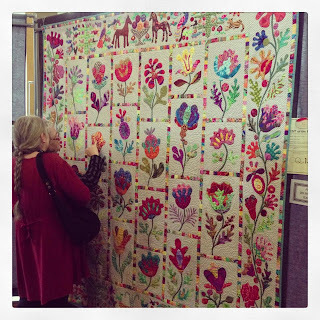 Last weekend the Australasian Quilt Convention was held in Melbourne, Sheila's Flower Garden quilt (Kaffe, and Kim and Me) was on display there as part of the Best of the Best display. 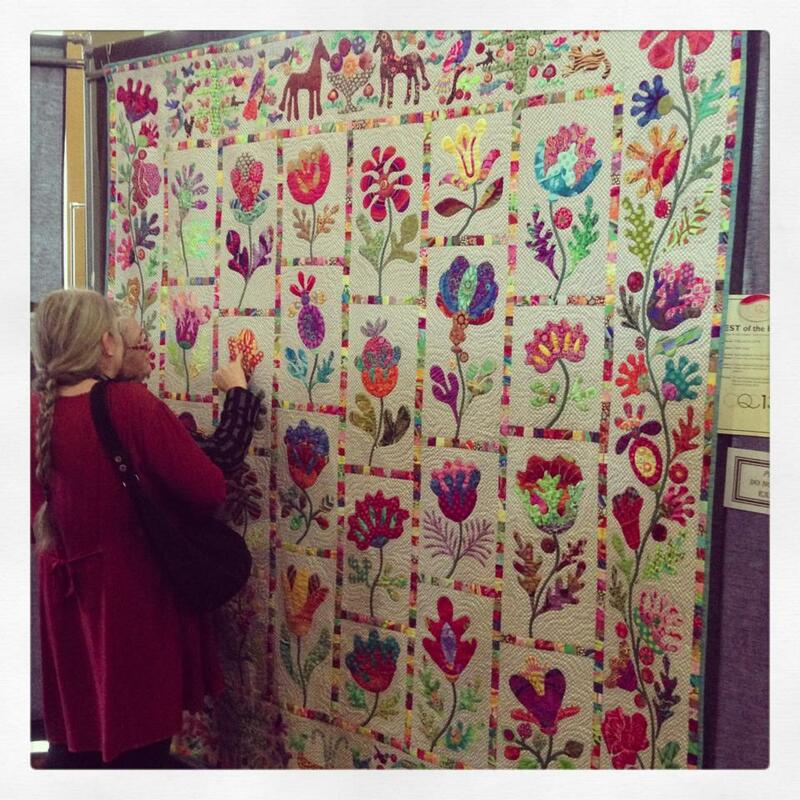 there are a couple more photos of Sheila's quilt on Melissa's blog, just scroll down a bit. that border tree looks terrific, I love how the circles add so much life to it. Thanks for showing my quilt again here. I don't think i will ever get over the thrill of it being selected for AQC. What beauties!! So glad I found you.